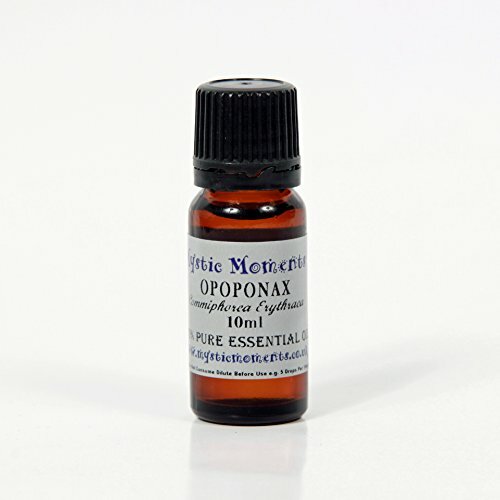 Opoponax can be used in different ways - in a diffuser, applied on skin, or by direct inhalation. Generally, the more preferred way to use it is topically. In perfumery, a small amount is used when mixing it with other scents because it has a strong and overpowering aroma. 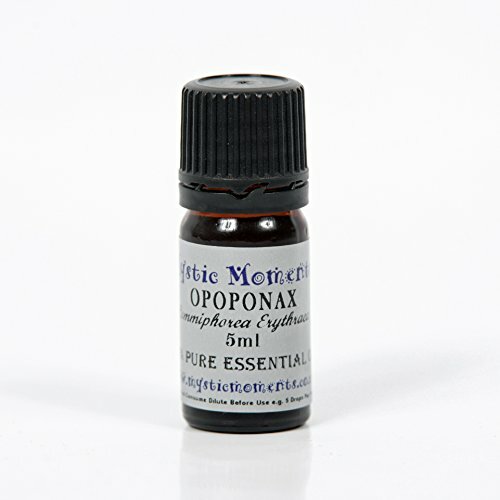 When diffused, Opoponax can be used as aphrodisiac and to treat disorders in the throat and lungs. For strengthening and cleansing of the mind and emotions, direct inhalation of Opoponax is done. Learn more about Opopanax Essential Oil or find a great deal on the best selling Opopanax Oil from the items below! 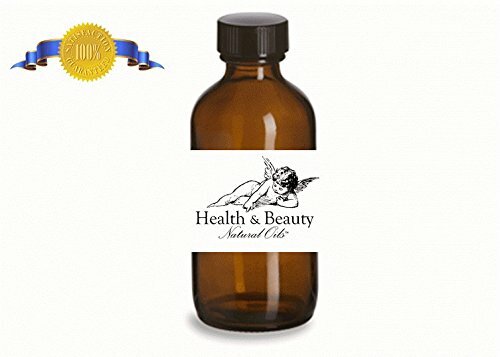 Opoponax Essential Oil 100ml - 100% Pure Botanical Name: Commiphora erythraea Plant Part: Crude Resin Extraction Method: Steam Description: It has a branching stem growing about 1 to 3 feet high, thick and rough near the base. Leaves pinnate, with long petioles and large serrate leaflets, the terminal one cordite, the rest deficient at the base, hairy underneath. The oleo resin is procured by cutting into the stem at the base. When sun-dried, the juice that exudes forms the opoponax essential oil of commerce. A warm climate is necessary to produce an oleo gum resin of the first quality. For this reason, the oil from France is deemed inferior. In commerce it is sometimes found in tears, but usually in small, irregular pieces. Colour: Yellow to Light Red Consistency: Thin to Medium Note: Middle Strength of Aroma: Medium Blends well with: Opoponax blends well with Frankincense, Sandalwood, Benzoin, Oak Moss, Cypress, Juniper, Mandarin, Geranium, Patchouli, Thyme, Mints, Lavender, Pine and Spices. Aromatic Scent: Opoponax has a bittersweet undertone with some herbaceousness. History: A cousin of the healing Myrrh we have always offered, this sweet Myrrh is most likely the Myrrh spoken of in the Song of Solomon. 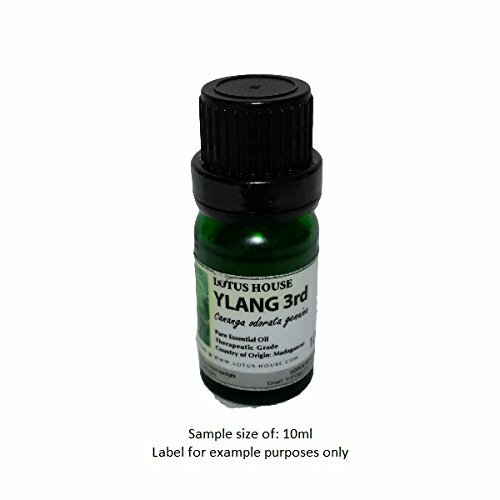 Unlike our healing Myrrh, this has a sweeter, softer and longer lasting aroma, very different from the sharp freshness of Myrrh Oil. It has been a component of incense and perfumes since Biblical times. 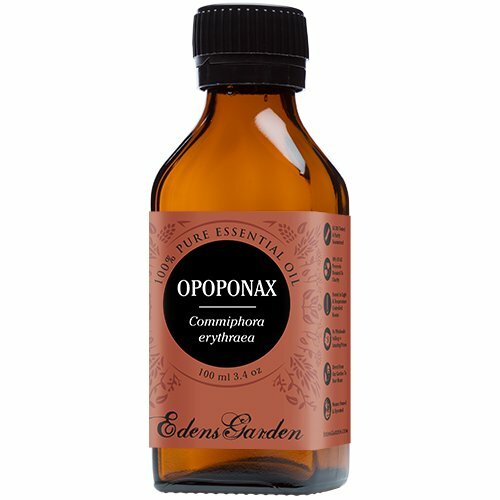 Opoponax Essential Oil 50ml - 100% Pure Botanical Name: Commiphora erythraea Plant Part: Crude Resin Extraction Method: Steam Description: It has a branching stem growing about 1 to 3 feet high, thick and rough near the base. Leaves pinnate, with long petioles and large serrate leaflets, the terminal one cordite, the rest deficient at the base, hairy underneath. The oleo resin is procured by cutting into the stem at the base. When sun-dried, the juice that exudes forms the opoponax essential oil of commerce. A warm climate is necessary to produce an oleo gum resin of the first quality. For this reason, the oil from France is deemed inferior. In commerce it is sometimes found in tears, but usually in small, irregular pieces. Colour: Yellow to Light Red Consistency: Thin to Medium Note: Middle Strength of Aroma: Medium Blends well with: Opoponax blends well with Frankincense, Sandalwood, Benzoin, Oak Moss, Cypress, Juniper, Mandarin, Geranium, Patchouli, Thyme, Mints, Lavender, Pine and Spices. Aromatic Scent: Opoponax has a bittersweet undertone with some herbaceousness. History: A cousin of the healing Myrrh we have always offered, this sweet Myrrh is most likely the Myrrh spoken of in the Song of Solomon. Unlike our healing Myrrh, this has a sweeter, softer and longer lasting aroma, very different from the sharp freshness of Myrrh Oil. It has been a component of incense and perfumes since Biblical times. Opoponax~Sweet Myrrh is a Base Note Essential Oil. It's aroma is dry, earthy and sweet, with lavender-like undertones. Opoponax Essential Oil is derived from a natural resin produced in a healthy Commiphora Erythrea tree, native to East Africa. The Opoponax tree is in the same family as Frankincense and Myrrh, and similar to those oils, Opoponax Essential Oil possesses antiseptic and anti-parasitic properties as well as pain relief. The oil can be applied topically in small amounts diluted in carrier oil to help fight infection and relieve sore muscles and joints. For many centuries, Opoponax Essential Oil has been used in perfumery and for treating wounds and clearing respiratory congestion. Properties Perfumery Note: Middle Aroma: Balsamic, Bittersweet, Earthy, and Honey-like Blends with: Bergamot, Frankincense, Lavender, Mandarin, Patchouli, and Sandalwood. Aromatic Description: Sweet, spicy, balsamic, and warm. 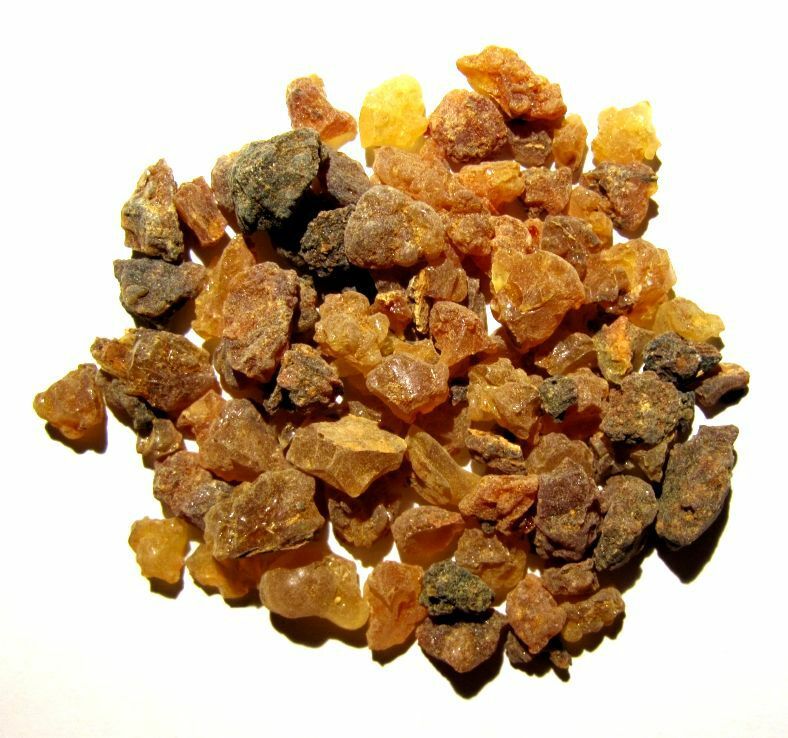 Perfumery Note: Base Aromatherapy Properties: (Uses) Opoponax is a resin from the Myrrh family native to eastern Africa and the Middle East. Opoponax, along with Myrrh, has been a component of incenses, perfumes, insect repellents, and herbal remedies since biblical times. The Egyptians also used myrrh to help preserve their mummies. May cause sensitization. Opoponax is known as "scented myrrh". It's an excellent fixative for blends or perfumes which use Neroli in the mix. Opoponax has muscle relaxing properties. Due to its drying action is effective against excessive mucous in the lungs. Recommended in cases of bronchitis, colds, sore throats, and coughs. Blends well with: Patchouli Dark, Orange Sweet, Lemon, Frankincense, and Sandalwood East Indian. Opoponax, Commiphora glabrescens, is a pure therapeutic quality aromatherapy essential oil, steam distilled using wild-crafted plants and traditional methods, from Somalia, obtained from the resin. Oshadhi sets the standard for therapeutic-quality, pure essential oils. 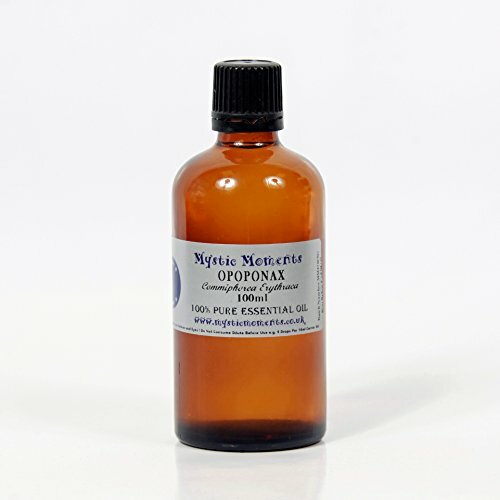 It is the most meticulously produced and respected aromatherapy line in the world. Impeccable care is taken in the growing, extracting, filling, and packing of these essential oils. All Oshadhi products are completely hand crafted, from farm to bottling, without the use of electromagnetic machinery to avoid disruption of their exquisite subtle properties. Eco-Cert, the European certifying body which supports the highest international standards, oversees all of OshadhiÆs worldwide certifications. Oshadhi offers 5 classifications of essential oils: certified organic, organic, wild, wild organic and select. Opoponax essential oil 5ml - 100% pure botanical name: commiphora erythraea plant part: crude resin extraction method: steam description: it has a branching stem growing about 1 to 3 feet high, thick and rough near the base. Leaves pinnate, with long petioles and large serrate leaflets, the terminal one cordite, the rest deficient at the base, hairy underneath. The oleo resin is procured by cutting into the stem at the base. When sun-dried, the juice that exudes forms the opoponax essential oil of commerce. A warm climate is necessary to produce an oleo gum resin of the first quality. For this reason, the oil from france is deemed inferior. In commerce it is sometimes found in tears, but usually in small, irregular pieces. colour: yellow to light red consistency: thin to medium note: middle strength of aroma: medium blends well with: opoponax blends well with frankincense, sandalwood, benzoin, oak moss, cypress, juniper, mandarin, geranium, patchouli, thyme, mints, lavender, pine and spices. aromatic scent: opoponax has a bittersweet undertone with some herbaceousness. history: a cousin of the healing myrrh we have always offered, this sweet myrrh is most likely the myrrh spoken of in the song of solomon. Unlike our healing myrrh, this has a sweeter, softer and longer lasting aroma, very different from the sharp freshness of myrrh oil. It has been a component of incense and perfumes since biblical times. Opoponax Essential Oil 10ml - 100% Pure Botanical Name: Commiphora erythraea Plant Part: Crude Resin Extraction Method: Steam Description: It has a branching stem growing about 1 to 3 feet high, thick and rough near the base. Leaves pinnate, with long petioles and large serrate leaflets, the terminal one cordite, the rest deficient at the base, hairy underneath. The oleo resin is procured by cutting into the stem at the base. When sun-dried, the juice that exudes forms the opoponax essential oil of commerce. A warm climate is necessary to produce an oleo gum resin of the first quality. For this reason, the oil from France is deemed inferior. In commerce it is sometimes found in tears, but usually in small, irregular pieces. Colour: Yellow to Light Red Consistency: Thin to Medium Note: Middle Strength of Aroma: Medium Blends well with: Opoponax blends well with Frankincense, Sandalwood, Benzoin, Oak Moss, Cypress, Juniper, Mandarin, Geranium, Patchouli, Thyme, Mints, Lavender, Pine and Spices. Aromatic Scent: Opoponax has a bittersweet undertone with some herbaceousness. History: A cousin of the healing Myrrh we have always offered, this sweet Myrrh is most likely the Myrrh spoken of in the Song of Solomon. Unlike our healing Myrrh, this has a sweeter, softer and longer lasting aroma, very different from the sharp freshness of Myrrh Oil. It has been a component of incense and perfumes since Biblical times. FeaturesSweet spicy balsamic and warm. Opoponax along with Myrrh has been a component of incenses perfumes insect repellents and herbal remedies since biblical times. Opoponax is known as "scented myrrh". It's an excellent fixative for blends or perfumes which use Neroli in the mix. Opoponax has muscle relaxing properties. Due to its drying action is effective against excessive mucous in the lungs. Recommended in cases of bronchitis colds sore throats and coughs. Blends well with - Patchouli Dark Orange Sweet Lemon Frankincense and Sandalwood East Indian. Capacity - 15 ml. FeaturesSweet spicy balsamic and warm. Opoponax along with Myrrh has been a component of incenses perfumes insect repellents and herbal remedies since biblical times. 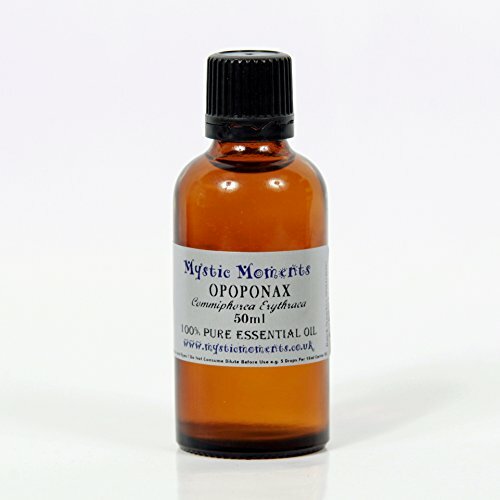 Opoponax is known as "scented myrrh". It's an excellent fixative for blends or perfumes which use Neroli in the mix. Opoponax has muscle relaxing properties. Due to its drying action is effective against excessive mucous in the lungs. Recommended in cases of bronchitis colds sore throats and coughs. Blends well with - Patchouli Dark Orange Sweet Lemon Frankincense and Sandalwood East Indian. Capacity - 5 ml. FeaturesSweet spicy balsamic and warm. Opoponax along with Myrrh has been a component of incenses perfumes insect repellents and herbal remedies since biblical times. Opoponax is known as "scented myrrh". It's an excellent fixative for blends or perfumes which use Neroli in the mix. Opoponax has muscle relaxing properties. Due to its drying action is effective against excessive mucous in the lungs. Recommended in cases of bronchitis colds sore throats and coughs. Blends well with - Patchouli Dark Orange Sweet Lemon Frankincense and Sandalwood East Indian. Capacity - 10 ml.